The Indian Ocean has long been one of the primary sources of whale shark sightings and some of the earliest scientific records came from the Seychelles. 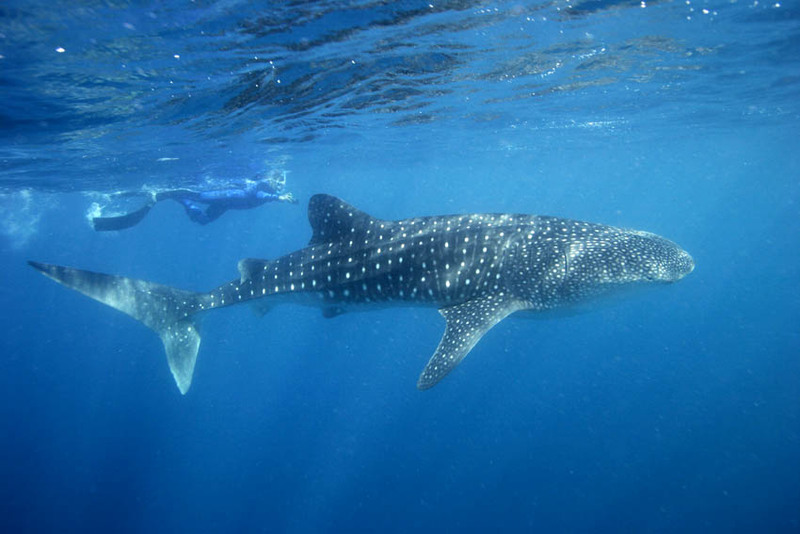 Since 1996, the Marine Conservation Society Seychelles (MCSS) incorporating the Shark Research Institute Seychelles, has been monitoring and tagging whale sharks in Seychelles waters. As a result of their efforts, they are a protected species in these waters. In recent years, funding has allowed the expansion of the programme with advanced satellite tracking technology to enable far more data to be collected on this species. You can help the MCSS researchers with their monitoring activities. The best time to visit is Sep-Oct and when they are found in an accessible area the team collects data, including photographic identies of individual fish. 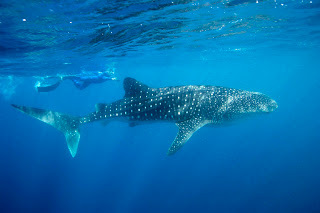 All activies are run in accordance to the Seychelles Whale Shark Encounter Code of Conduct. Trips are run daily when conditions allow. In the morning, the microlight locates the whale sharks and in the afternoon, enthusiasts head out on boats to the most promising areas to snorkel with these gentle giants. Dive Worldwide work together with the Seychelles Underwater Centre to bring you fantastic packages so you can discover the Seychelles, dive and help with research. Book your holiday now! Bite-Back at Cancer. Win a holiday to Fiji!